I'll start with Finish 4 by the Fourth of July. I have made good progress on 3 of the products. I'm still not sure that they will be finished but they will be very close! 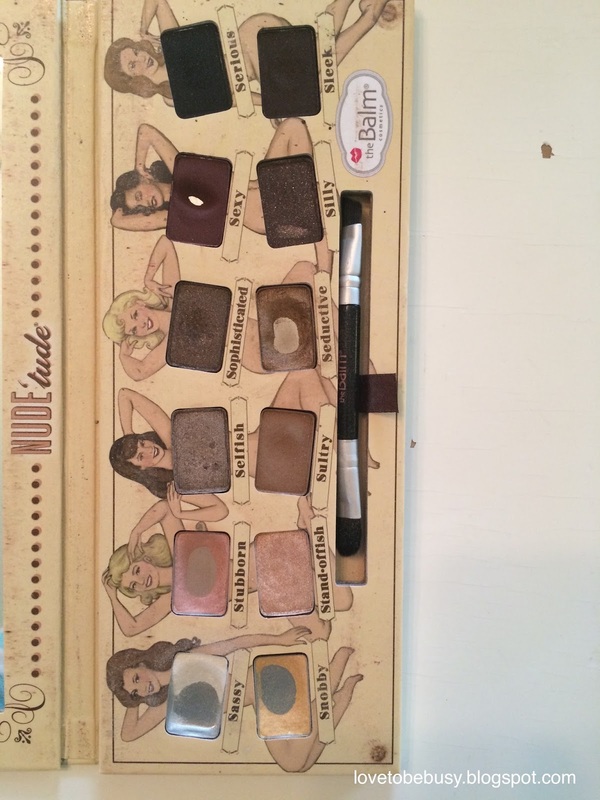 Bare Minerals cream shadow - I haven't used this at all. I thought I'd finish the color tattoo a long time ago and move onto this. Hasn't happened. Maybelline color tattoo - As you can see by the lines on the jar, I am using this up. I apply it with a brush and then blend out a little with my finger. I'm hoping this will be done by July 4th. It will be pretty close. 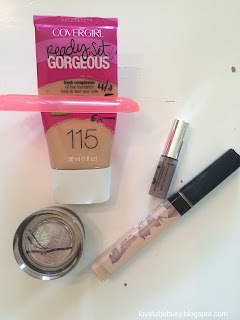 Cover Girl Ready Set Gorgeous Foundation - I have been using this every day as my foundation. It is okay but it isn't one that I feel like I need to run out and repurchase. I find that even with a primer, my chin gets very oily by the end of the day and it breaks down a lot around my nose. I'm trying to finish this up quickly since I think I've gotten a leak in the tube somewhere and I don't want the air getting to it. I put this toothpaste squeezer on it and you could hear the air coming out somewhere. Maybelline Fit Me concealer - This is my favorite drugstore concealer that I've tried. As you can see from the side, it is definitely getting used up. I tried to stand the tube up to mark it but the product doesn't really move. This will be another close one by July 4th. Onto 12 Empties of Christmas. I have been using the products such as one of the perfumes and the bronzer every day. I am also using the face wash and toner I listed in my products. 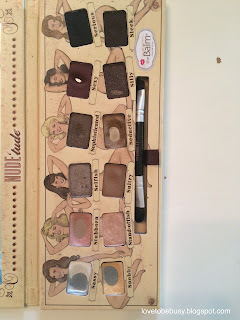 However, either there isn't enough progress for me to mark (the bronzer) or I can't see through the bottles to mark them. I thought I would show you what my palette looks like at this point, though. I included it as one of my empties. I use five shades in my look every day with the darkest one as liner on my lower lash line. The others I layer for my eye look each day. I'm hoping to finish them up soon and move onto a different look. I think some of the darker shades may still be around come December. What products are you working on using up? If you're doing any of these challenges, let me know so I can follow your progress! I just couldn't get into that palette so your progress to me is impressive!!!! Thank you! It definitely isn't one I'll miss but I'm trying to use up as much of it as possible.